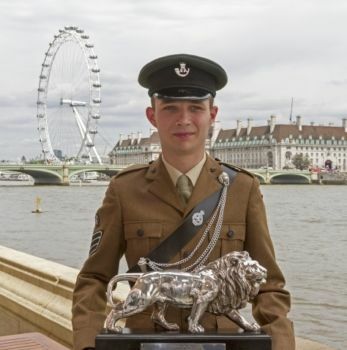 Durham Army Cadet, Sergeant Daniel Wilkie, (18), from Ryhope in Sunderland, has beaten hundreds of other cadets to be named the CVQO Duke of Westminster Award winner 2014. 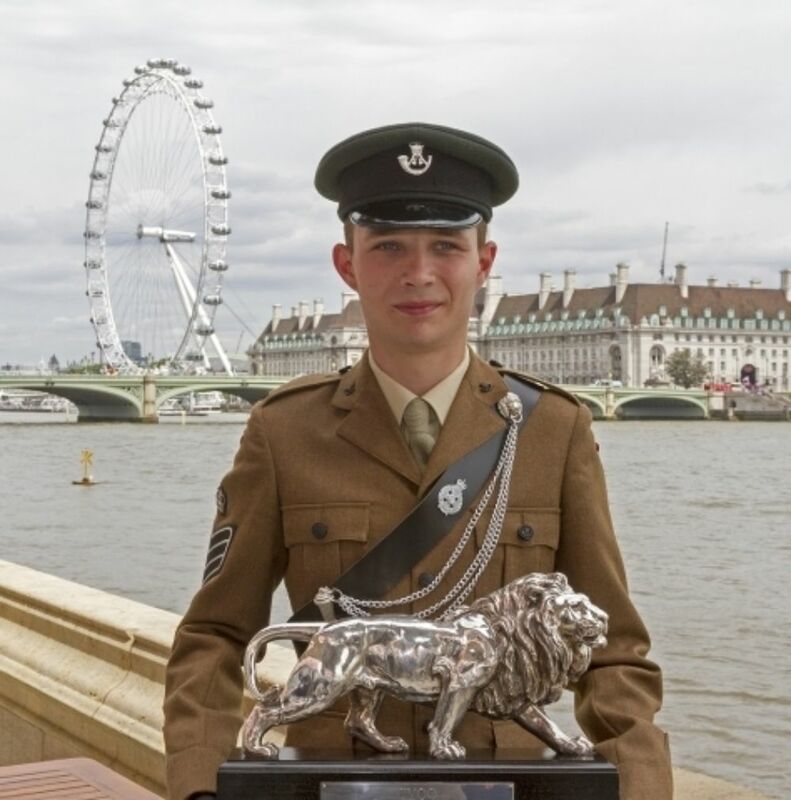 He was presented with his award by Lord Lingfield, CVQO chairman of Trustees, at a prestigious awards ceremony at the House of Lords hosted by education charity CVQO. He joined Ryhope Detachment of the Army Cadet Force in Sunderland in May 2010 at the recommendation of his probation officer who warned him he was facing a future potentially filled with problems. This was the start of a life-changing time for Daniel who also spent almost four years taking care of his grandmother, who suffered from dementia, until she died in 2012. Now a seen as a local hero, according to his ACF Commanding Officer, he is member of C Company Durham ACF and in 2013 he was awarded the St John Ambulance First Aider of the Year Certificate and presented with a Royal Humane Society Certificate by the Lord Lieutenant of Tyne and Wear. From over 250 initial cadet nominees for the coveted award, 24 regional finalists were selected to compete in a challenging four-day selection event in the Quantock Hills, Somerset, which tested their communication, teamwork and leadership skills through a variety of demanding physical and mental tasks. From that event, just nine were selected as CVQO Duke of Westminster national finalists. The nine national finalists will be leaving for a three-week educational expedition in South Africa in July where they will undertake an environmental awareness course and a cultural project.